As we impatiently await for Gamescom 2018 Cologne to kick off in a few hours time, there is news from a more distant trade show; IFA 2018 Berlin, which runs from 31st August to 5th September. IFA will be packed full of smartphones, wearables, VR/AR, Smart Home, 3D Printing, and Digital Health products as well as new TVs. In this latter category we are expecting to see some impressive products, as usual, and one already being reported upon is a 175-inch (14 and a half feet, 444cm) microLED TV from LG. MicroLED TVs boasts better picture contrast and energy efficiency than the existing high-end OLED and LCD-based products by employing millions of self-emitting chips that are smaller than 100 micrometers. Due mainly to manufacturing difficulties, Samsung is concentrating on commercial applications for its first microLED TVs. 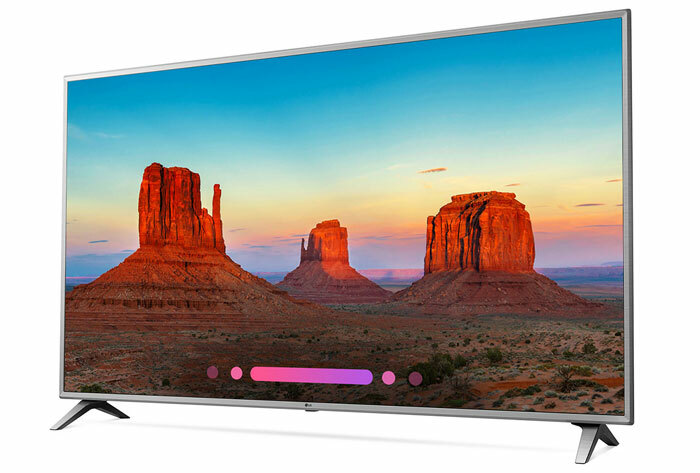 However, as people desire larger and larger TVs to consume content at home, there are plans to release consumer products featuring MicroLED technology next year, according to reports. Samsung will release The Wall Luxury into this premium home market next year. LG doesn't want to commit right now and is waiting until productivity improves and production costs go down before making a version of its 175-inch microLED TV for consumers, says The Korea Herald. Currently the largest consumer TVs from LG are 86-inch (7ft 2-in, 218cm) models as shown in the main picture. Other brands which might show off impressive large TVs at IFA 2018 include Hisense and Sony with display panels from TCL, AU Optonics, Japan Display and others. Perfect for the spare room. Just what I need for a new dual screen setup.